Jumpsuits are a great option for special occasions and now that we are in full swing of wedding season, not forgetting the Royal Wedding too – I thought this would be a good time to talk about one of my most favourite garments. I’ve been out on the high street to see what I think are some fabulous options for you to consider. 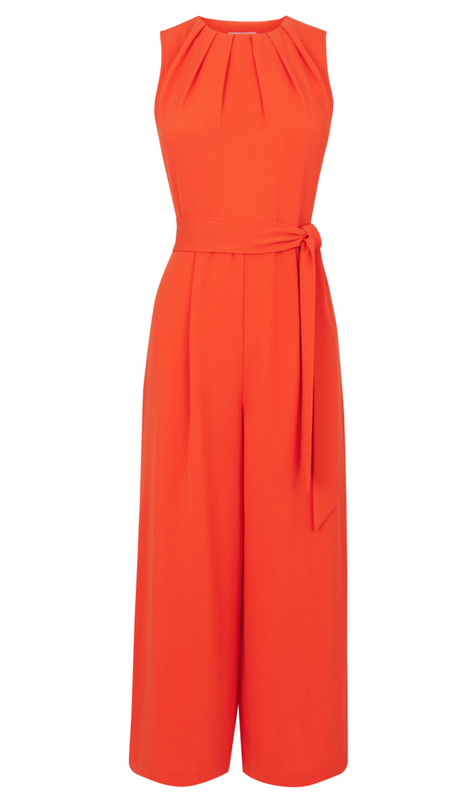 As with any shopping trip, finding an outfit for a wedding takes time, and my biggest tip for jumpsuit shopping is to where easy clothes to get in and out of, because jumpsuits alone are tricky enough! Loved the colour, it’s a really flattering shape, it’s got a slight open back which I think makes it less day, less office. Sizing is true to fit, it’s 100% polyester and I like the belt tie, I would use this one rather than changing to a belt. I think the price point is right at £56, as there is quality in fit even if the material is perhaps not as nice as some of the others below. Now back to the fit; one slight concern, I am not long in the body and yet I found this a tad short, it was fine standing straight up, abut when I bent forward I knew about it! So avoid if you have a long body but if you are petite in that area, this could be perfect for you. It says Yellow – it’s mustard! Loved this one! The fit was great, the style of it was lovely – it’s 96% Polyester and 4% Elastane. I wasn’t keen on the tie, it was a tad long so I would get a seamstress to shorten it. I think my picture below suggests pockets, but it doesn’t have them. Sizing is true to size, it’s modern with the wide cropped leg trousers, but for a wedding you would need to jazz it up with some accessories, it’s a little too plain. That said, it offers you value for money as it can be easily worn to the office after the special day is over. 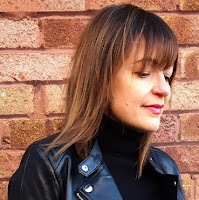 Now one of my favourite jumpsuits that I own, and for many years, comes from Phase Eight – I remember investing £125 and thankfully I’ve got my money’s worth many times over. I tried a couple on for this post, and whilst they certainly tick the box for wedding I did find them quite tricky to get in and out of. 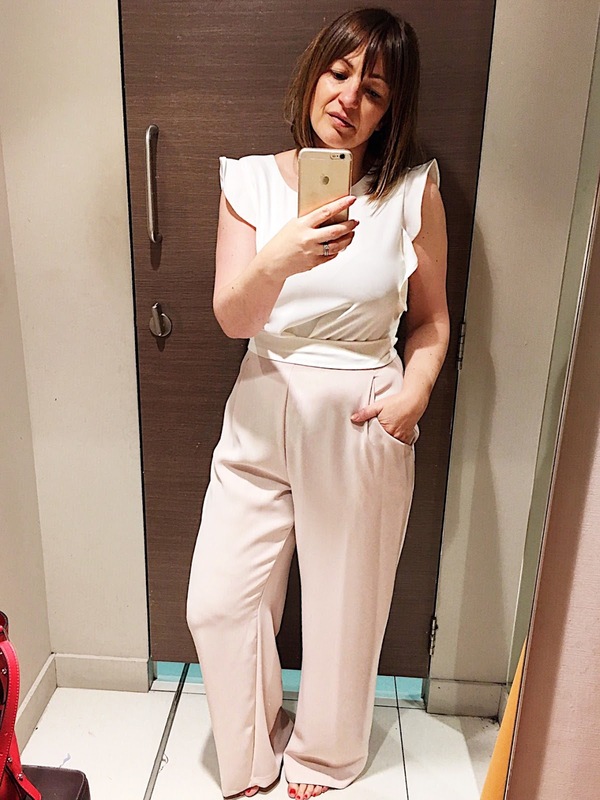 I don’t want to diss them, as I think Phase Eight make some fabulous jumpsuits and I am a huge fan, so my advice to you is, go try them on for yourself, these are the two that I was particularly drawn to for a wedding in mind. 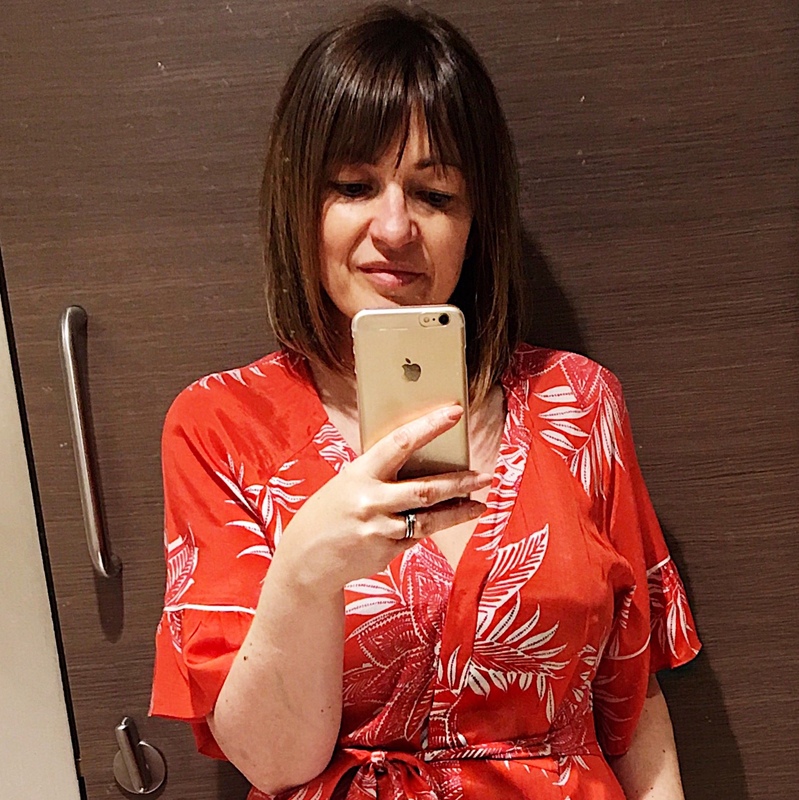 Quiz at Debenhams – I was so impressed with the bright and colourful range of jumpsuits that they had, lots of choice and at the low-end for budget, perfect if you don’t want to invest too much into a wedding outfit. They are definitely statement jumpsuits so you will not need to accessorise too much and let the jumpsuit do all the talking. This one below is not online, it’s £34.99 and it’s made up of 95% polyester and 5% elastane. It’s so so easy to get in and out of, it’s simply pull up/pull down! The belt however was far too short, the small ties at the front looked a tad silly, so two options I think – either tie it round to the back, that way it will be more flat across the stomach line, or invest in a belt that ties in with the colours of the print, possible a thin yellow or green belt. It’s got pockets, wide cropped leg trousers and sizing is true to fit. 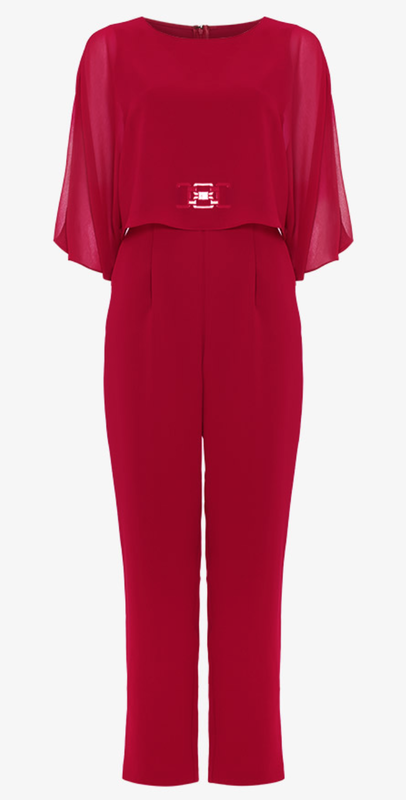 I think this is a fun and lovely jumpsuit, and for a budget jumpsuit this get a 10/10 from me. They didn’t have this one in my size, but I can tell you it’s again a lovely jumpsuit. The frilly front at first I thought would not work with my larger bustline, but I have to say the clever angles of the frills actually complimented me very well. I’m thinking it will work small or large busts, so give it a go. It’s a halter neck and backless so you need to be confident in showing off some flesh. The material is 100% polyester, it’s not as silky to feel as the orange jumpsuit above and because you need it to fit you snug, you are going to have to be careful what underwear you use, as you will see it. 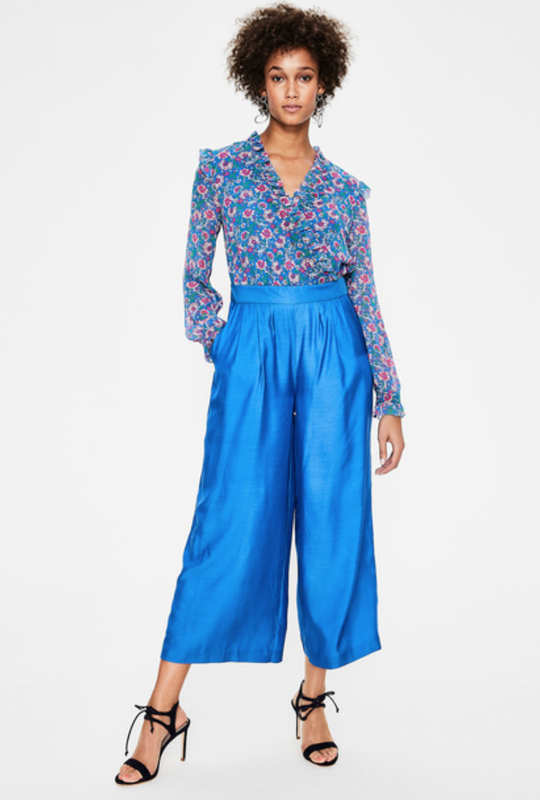 The fit of the trousers is long and wide leg, you would need to wear this with heels to carry it off. Sizing is true to size, it has no pockets and it’s another pull up/pull down once you’ve untied the halterneck. I saw this one on a YouTube Summer Haul this week, by Sheerluxe – I absolutely loved it. I’ve not had the chance to try it on, but I think this looks very glamorous and perfect for a wedding. I quite like it when a jumpsuit looks like trousers and a top, I love the play of that and yet you have all the comfort that jumpsuits give you. Gorgeous! It only comes in this colour-way. Trust me to fall in love with one of the expensive ones! But I have to say that if I was going to a wedding this summer, this is what I would pick. It’s so lovely on, a fabulous fit which is true to size. Couple of points to consider if you are loving this one too, it’s 100% Viscose which is layman’s terms is artificial silk, so you would need it to be a warm day as the material is thin. I don’t feel you could wear a jacket or anything over it, so it could let you down if you are wearing it in the UK, but if you were going to a wedding in a hot country abroad, tick, tick, tick. 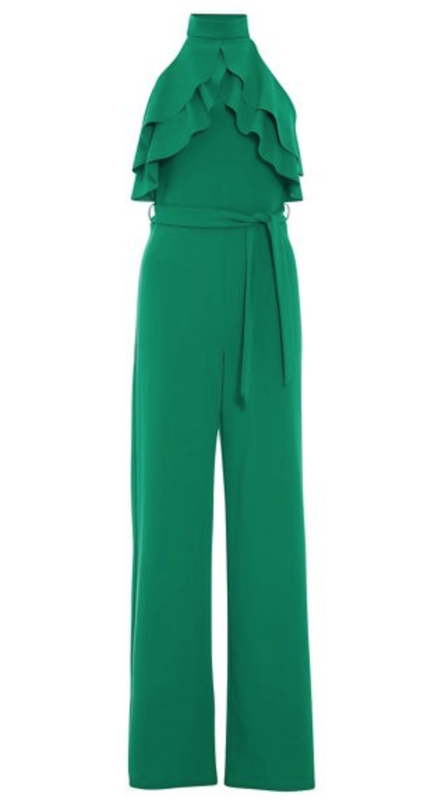 The jumpsuit has pockets in a very flattering position, slightly more round to the front, the trousers are cropped wide leg and you would need heels to elevate this jumpsuit to glam. I also feel this kimono style jumpsuit gives a slight nod to the pyjama trend which is popular at the moment – keep all the accessories high-quality and simple. It’s very easy to get in and out of, it’s got poppers all down the front and for this one, I would use the belt that comes with it. It’s my favourite, so it’s a 10/10 from me. Wearing a jumpsuit for a night out, a wedding or any occasion, allow plenty of time to pop to the loo, the minute you think you need to go, go! Jumpsuits for weddings require high heels – flats, wedges may make the outfit more day time, more ‘let’s lunch’ and you are at risk of killing the outfit before you’ve arrived! Be brave, get them on and no one wears shoes dancing anyway! Next Post ONE STRAW BAG, TWO STRAW BAG, THREE STRAW BAG, FOUR!